When I first met Tharsan, aka Darshan, I was immediately struck by his unassuming nature, his humility, and a ready smile that shone from deep within. Such a gentle soul. “I needed help understanding what was going on. From my Hindu background, I knew about ashrams and what they offer. I thought maybe I could get help from one.” He googled for the ashram closest to where he lived. And that, of course, was Svaroopa® Vidya Ashram. He called and was advised to attend a Swami Sunday. Tharsan observes, “In retrospect, I knew then that I was being guided by Grace. The Ashram was only ten minutes from where I lived.” Laughing again, he said, “The yoga and meditation center was located directly across the street from the pub where I had been drinking with my buddies! 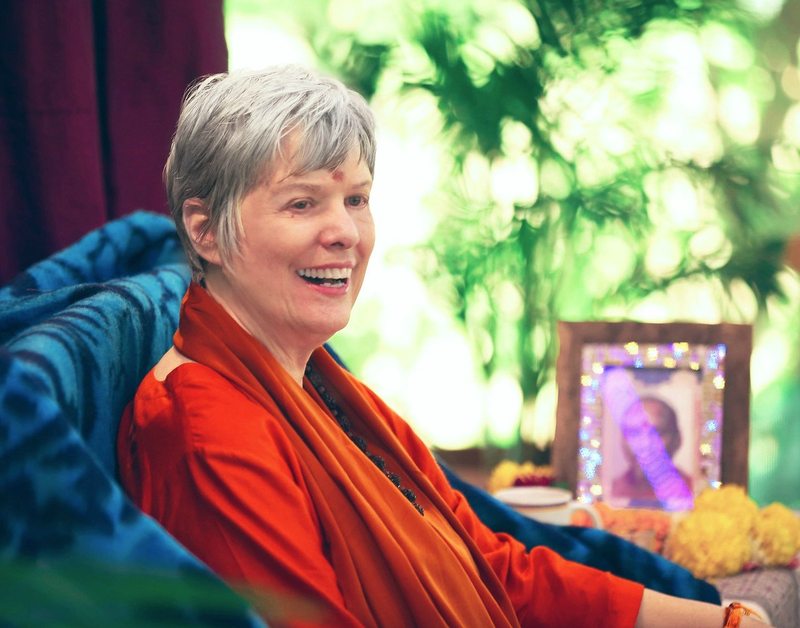 “Swami explained what had been happening to me. She then gave me mantra. She encouraged me to come to all her free programs: Tuesday evening satsangs, Thursday morning Guru Gita satsangs, and Swami Sundays. Tharsan was no longer lost. He had googled “ashram,” found his Guru, and through her, found his Self. Tharsan continues to this day working for the Ashram. He is also a Lyft driver part time. Next time you need a ride to or from Downingtown, call Tharsan. You will definitely get a lift. His glow is contagious. This entry was posted in Ashram News on November 13, 2018 by Svaroopa Vidya Ashram. I love this interview – thanks guys!